A simple google search for “Birth Bag” brings up a slew of seemingly must-read articles on wildly popular maternity sites. Three pairs of warm, non-skid socks, pen and paper, and sugar-free candy are actually on more than one “must bring” list. Really? What makes these things essential to birthing our babies or providing the laboring mother the comfort measures she needs? It’s lists like this that serve to confuse birthing mothers, cause us to second guess ourselves and ultimately, bring us further from our birthing instincts and our internal locus of control. As a mother of three and a birth doula having attended more than 50 births, allow me to shed some light on the must-haves I carry in my doula bag, but first, let’s look at what you might consider bringing in your birth bag. I can reduce your legitimate birthing needs down to three things: a fully prepared support person, your own confidence and preparedness in pain-coping and relaxation techniques, and a birth provider (doctor or midwife) with whom you have a solid foundation of trust based on mutual respect, similar philosophies and often, numerous conversations led by you. But we can’t put these things in a bag! What about the bag, you ask? Ok. If you must have a checklist, here’s a top five. Then we’ll get back to what you REALLY need. 1. Drinks with electrolytes (coconut water, vitamin water, sports drinks. So, back to the three essentials, the non-tangibles. First, your fully prepared support person. This might be your birth partner or your doula (see swflbirthnetwork.com/search for a list of local doulas) or someone else. Some birth classes like Birthing From Within ® and The Bradley Method ® take pride in including and preparing the birth partner for what they really need to know about labor and supporting the birthing mother. If your support person is your baby’s father, remember this is also the birth of himself as a father, and that is an important and often overlooked piece of our birth culture today. When dad is prepared with how to fully support the birthing mother, this benefits not only mom and baby, but also their parenting journey, including newborn care and beyond. Doulas exist to compliment the role of your support person, and give you additional support, comfort measures, pain-coping expertise, and more. Second, you need your own confidence in your ability to do this, to cope with the intensity of labor. Where will you gain this confidence? What do you need to do to prepare? These are questions to load into your metaphorical bag now, don’t leave it up to chance! (See swflbirthnetwork.com/search for a list of local childbirth preparation classes.) 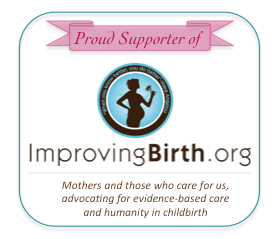 Finally, you want to have the reliance of your supportive birth provider. Have you asked your doctor or midwife what happens if you are still pregnant at 40 weeks? What about 41? At what point you’ll see them during labor? What their cesarean rate is? What happens if they are not on-call when you go into labor? Many mothers are shocked and ill-prepared when their “supportive” provider begins to change the way they communicate come 39 weeks, and suggest inductions, big babies, or cesareans. This is not always the case, of course, and much of the reason you are seeking out evidence-based care during pregnancy is to field these uncertain situations with confidence. Sometimes these are difficult questions to ask. Put them into your metaphorical birth bag now, while you have the ability to communicate your needs and concerns, find your voice, and even make a change in providers if you’d like. So what’s in my doula bag? First, the tangibles. 5. Things for myself, like food, my breast pump while I’m away from my nursling, and my cell phone charger. If I left my doula bag at home, it wouldn’t matter much. What do I really use as I support a mom and dad during labor? The intangibles! First, my voice, to speak words of encouragement, birth affirmations, visualizations to help her cervix ooooppppeeennn and to bring the baby dowwwwwwn. Second, my hands, to do the ever-important “double hip squeeze” or counter-pressure on her low back, or to massage sore shoulders or to relax her hands or feet. And third, my knowledge of “Spinning Babies” techniques to help a longer labor progress by helping baby get in a more optimal position, even during labor. You can learn position changes as well as specific exercises to create more space in the lower uterine segment to allow baby more room to descend and rotate (spinningbabies.com). Of course you’ll need some things for baby, like an installed car-seat and an outfit to wear. But birth bag? You will hardly open that bag and when you do, you might be surprised to discover that the things you thought you needed before baby was born no longer quite “fit” the new person you have become: A Mother. What do you need now? Your baby, your voice, your milk. The rest can become details you choose to bring with you or not. Instincts know no lists.